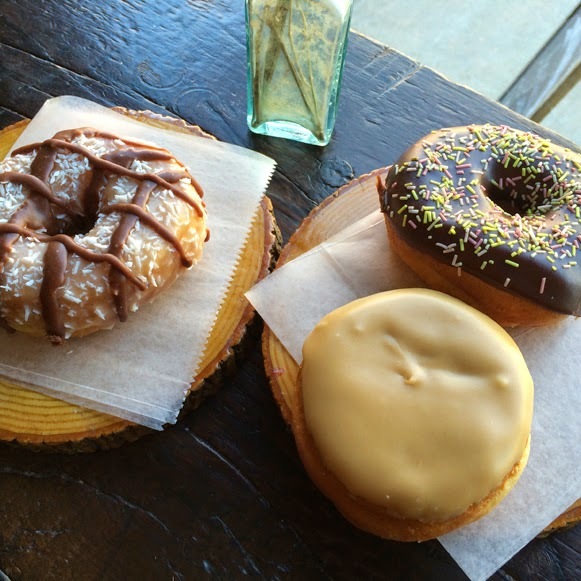 new york city (brooklyn) : dun-well doughnuts. there are two things that i miss a lot since becoming vegan. okay, maybe not miss. but remember quite fondly & think about often. one of those two things is macaroni & cheese. the other? donuts. this is funny to me because it's not like back in my omnivore & vegetarian days, i was walking around town, eating donuts on the daily. but like so many things we want, but cannot have -- donuts are now a frequent craving of mine. so particularly when in nyc, i like to seek out & eat donuts. and this most recent trip was no different. a quick, pre-trip google search for "vegan donuts nyc" led me & melissa to one of the most heavenly places on earth: dun-well doughnuts in williamsburg. i'm definitely on board with this. 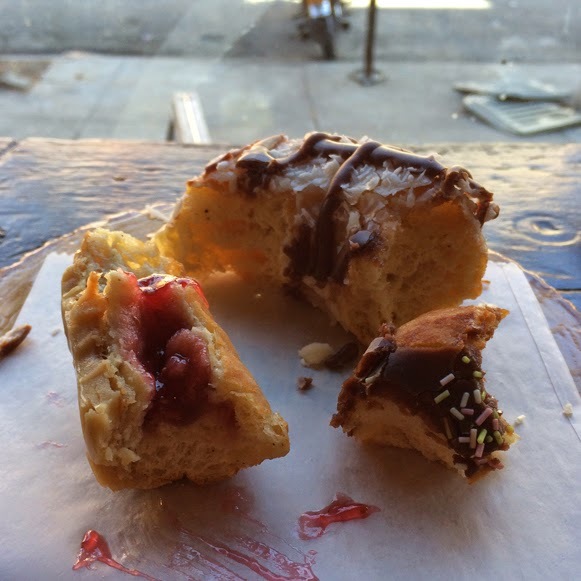 here's the full story ... "dun-well doughnuts started as a food craving [ed. note : as most great ideas do.] when christopher hollowell (the "well in dun-well" called up his buddy dan dunbar (the "dun" in dun-well) after having watched a simpsons anniversary episode that featured homer's favorite round confections rather prominently. 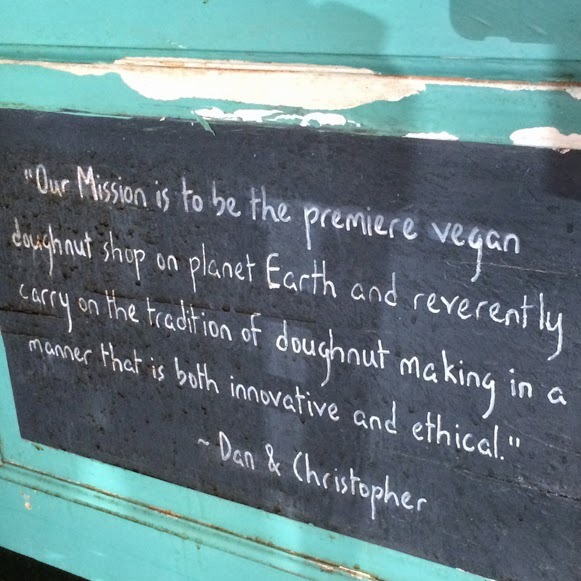 having been unable to find a vegan doughnut in nyc that satisfied his craving, christopher & dan agreed to make their quest to create an amazing doughnut & open nyc's first all-vegan doughnut shop." welp. good job, guys. while i wanted to try all zee dw doughnuts, that would have been both absurd & unacceptable. so we opted for 3 varieties. almond cocoa joy, chocolate w/ sprinkles, peanut butter & jelly. we snarfed these puppies down in about 6 minutes ... which led to extreme sugar highs. they were freaking amazing. my fave was the peanut butter & jelly ... melissa's favorite was the chocolate with sprinkles. but let's be honest, they were all winners. i already know that dun-well doughnuts will become a staple stop for any & all future nyc trips. i highly suggest you make it one as well. new york city : pommes frites. new york city : dos caminos.